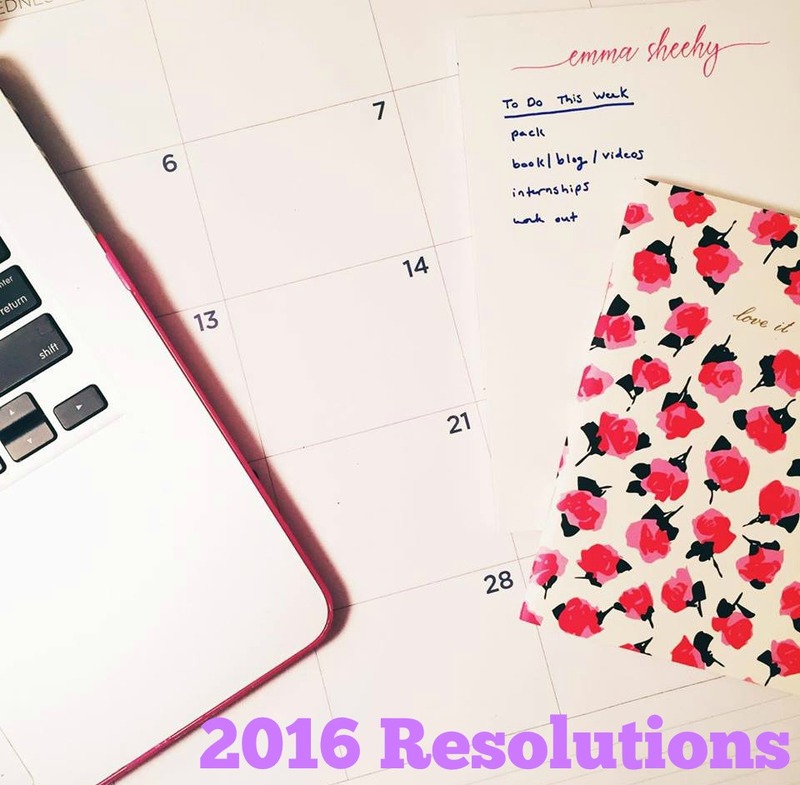 Actual Resolutions for 2016 - emma and co.
Now that we're two weeks into 2016 (counting down the days until I'm back in Lewisburg) most resolutions are already on the back burner. I've been trying to make an effort with actually keeping my resolutions and not giving up when things go wrong. Freshen Up Space // I've spent the last couple of days going through my closet to get rid of things and organizing. The happiness of having a clean space is what I could only imagine as the equivalent of a drug trip. Being Consistent // I have found that when making a change, it's more about making an effort everyday than trying to go 150% once in a while. Even if I can only fit in a short run or healthy snack it's better than nothing. Thankful Meals // Who says that the only time to be verbal about what we're thankful for is Thanksgiving? My family and I have been doing this more and it's a nice reminder that life isn't so bad after a long day.